Every Uber driver-partner has a story. Whether they are funding their passion, saving towards a goal, or earning money in their spare time— driving with Uber ignites opportunities. Simon, a Perth DJ, has become the most complimented Uber driver-partner in Australia for his music taste. Thousands of riders have used the Compliments feature to give Simon kudos for playing African-inspired beats during trips. Originally from Ghana, Simon—who is known in the music industry as ‘Bahfresh’— has remained close to his African roots. He runs his own record label in his home country and DJs at parties and events for the Ghanaian community in Perth. The first thing he does each morning, is play his favourite tracks to get him ready for the day ahead. With 25,000 songs stored on his computer, it’s no surprise that music is on high rotation when he drives with Uber. When we told Simon he was the driver-partner with the most Compliments, he jumped at the chance to curate a ‘Bahfresh’ playlist on Spotify especially for Uber riders. Morning trips start off with soothing and relaxing melodies of reggae and traditional Ghanaian music, while evenings are reserved for high-energy Afrobeat tunes—“the kind of music that makes you want to dance,” Simon says. Suffice to say, this Perthsider lives for music. The next time you hop into your Uber ride in Perth, be sure to perk up your ears —you might be bopping to the beats of Simon’s crowd-favourite playlist. 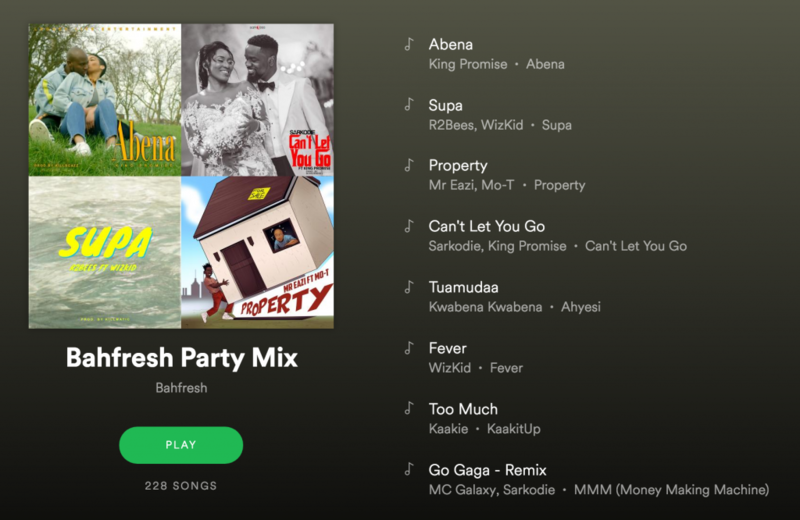 Or better yet, simply search ‘Bahfresh’ on Spotify or request this playlist on your next Uber ride, and you could be chilling to soothing, slick tunes en route to your destination. $3.50 UberPool rides to & from your ferry at Manly Wharf. Boom!